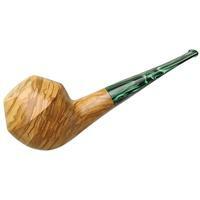 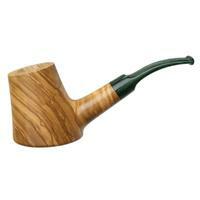 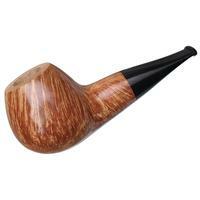 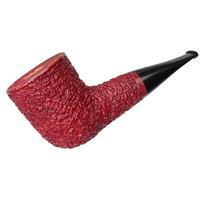 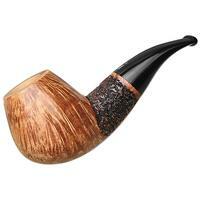 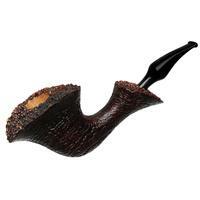 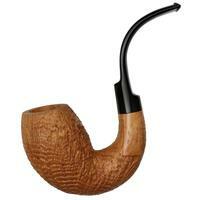 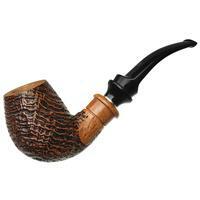 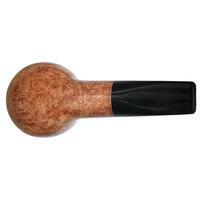 A stout, fireplug of a pipe, this Apple from Tonino packs an impressive amount of briar into less than five inches of length. 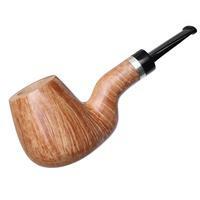 The chamber is deep and slender, affording plenty of thickness to the bowl and keeping things well insulating and comfortably warm in hand. 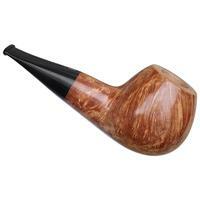 Such proportions make for a palm-filling stance, despite the compact proportions, and an equally robust shank and transition. 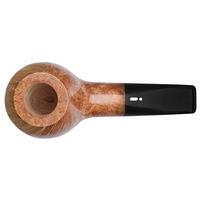 There's also a generous amount of surface area on which to show off Jacono's smooth Rook finish — highlighting a beautiful display of wind swept grain, dressed in a vivid, honey-blonde stain.